We have carefully selected these ideas from various sources to inspire you with custom options we offer to personalize and brand your clients’ gifts. The great thing about all these designs is, they’re traditionally festive without being too holiday-specific, so your clients can be confident that the imagery won’t cause any discomfort or leave anyone feeling left out of the holiday mood. And these are just a sampling of what we can provide you…tell us your vision and we’ll do our best to bring it to life. Since we can provide turnkey fulfillment, the ways we can personalize your order are endless. 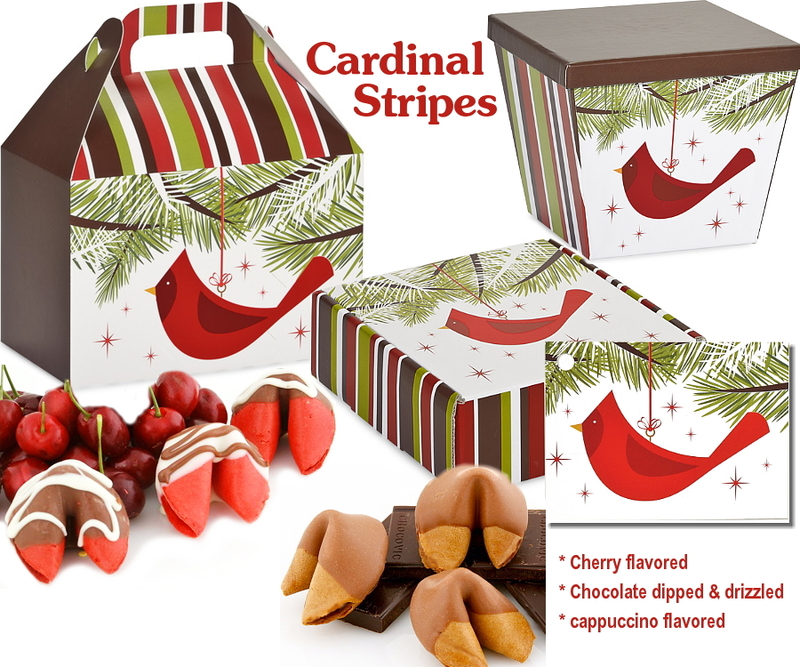 With 12 colors of fortune cookies, another 17 colors of chocolate dipping, 4 dipping types, several crumble choices and endless candy sprinkle colors, we can match any corporate or holiday color scheme you can dream up! Need something even MORE custom? Just ask! Since we invented colored and flavored fortune cookies in 1988, we can do just about anything your heart (and stomach) desires. To make your life easier, we’re offering free virtuals and free spec samples for your clients. This fun design actually comes in many more options than are shown here…17 different sizes and styles of packaging to be precise. (Note the matching gift card, lower right, fully brandable on the opposite side.) We love the idea of matching cookies to their packaging, so we’re showing chocolate dipped cherry flavored cookies and cappuccino cookies. Of course there are other red flavors to choose from: strawberry, strawberry banana, red apple and cinnamon. As for brown, pick from: chocolate, graham cracker, root beer and gingerbread. 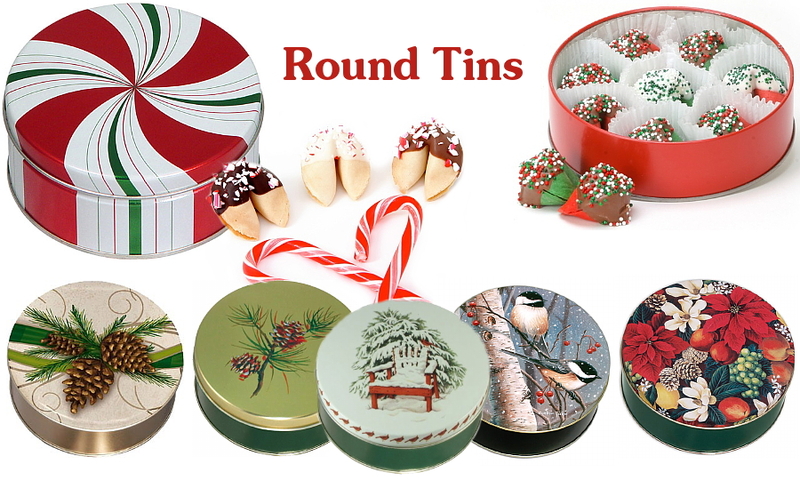 Classic round metal tins hold a dozen or more fortune cookies and are a solid, traditional holiday gift. There are many festive designs to choose from, whether your client prefers a familiar holiday look or something more corporate or generic. Even with an image on the lid, custom round labels that harmonize with the design can add impact and branding. Solid color tins offer even more room for customized branding and color matching. 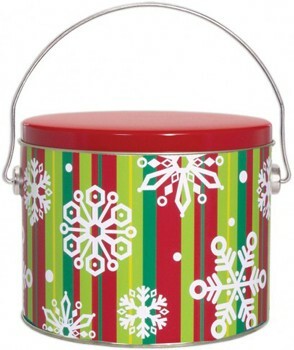 Tins can be made even more festive with ribbon and bows. We’re extra excited about the idea of matching cookie flavor to the tin design: the peppermint swirl tin (right) would be so fun filled with cheery green mint and peppermint cookies. We can even dip them in chocolate and sprinkle them with crushed peppermint candy–sweet and traditional. 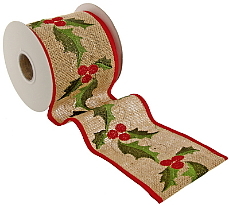 Another fun, sophisticated way to suggest a holiday mood without going all Santa-crazy is with plaid packaging. Even a plaid ribbon on solid color containers is enough to set a nice businesslike tone. Add some bright red cherry flavored cookies and you’ve got a sweet gift. There are so many styles, shapes and sizes to choose from that there is surely a tin for every situation. 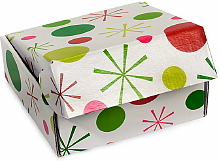 Tins can hold a dozen fortune cookies or many dozens, enough for the whole team or department. 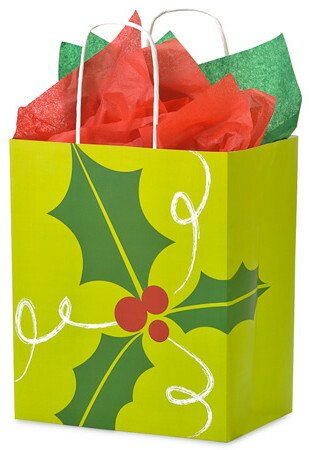 A nice extra with these gifts is that many people appreciate reusing the package—upcycling is so in now! We can help you find just about any tone of tin you’d like. Of course, labels can add branding. Solid color packaging doesn’t have to be, well, square! There are so many clever shapes and sizes these days, there’s no reason to do boring. Some even have handy windows so the recipient can spy the colorful fortune cookies inside. We can do custom artwork on labels to enhance any package. It’s good to go green, and we can certainly guide you toward eco-friendly packaging options—and they don’t need to be dull! Natural raffia ribbons and other printed ribbons can complete elegant ensembles. Damask patterns always reflect good taste, and as with all these ideas, there are many more variations to choose from. We especially love pairing a contrasting damask ribbon and matching the cookie color. Or go all the way and choose our dramatic black raspberry flavored cookies with white chocolate dipping and black ice sprinkles. What could send a sweeter holiday message than candy canes and gingerbread? Nothing we can think of. The big reason we love this design (and there are many variations available) is that we bake gingerbread flavored fortune cookies, dipped in chocolate and sprinkled with crushed ginger snaps. And if you pair them with our green mint or our peppermint flavored cookies covered in crushed candy canes, then your client will have the ultimate fun gift. Don’t forget…we provide free virtuals and free spec samples, plus we offer complete fulfilment services. See more holiday gift ideas right here.